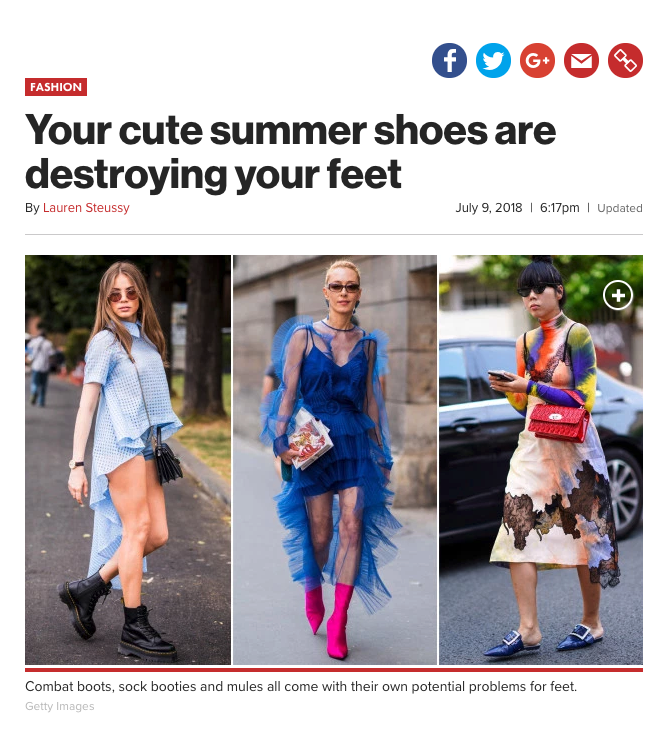 Bustle, a women’s online news outlet geared toward fashion, beauty and lifestyle, featured an interview with Dr. Cunha on whether women should wear shoes that are too big for their feet. Meghan Markle was photographed wearing shoes that are too big for her, which got the internet talking: is it safe for your feet? According to Dr. Cunha, often referred to as the best podiatrist in New York, “Proper fitting shoes provide a proper platform for our feet to support our body. Shoes that are too big means you will be accommodating the improper fitted size in a dysfunctional way and can lead to foot problems." Read the article in its entirety here. There are plenty of cute shoe options to wear to a wedding, but most will have you experiencing foot pain before the ceremony ends. 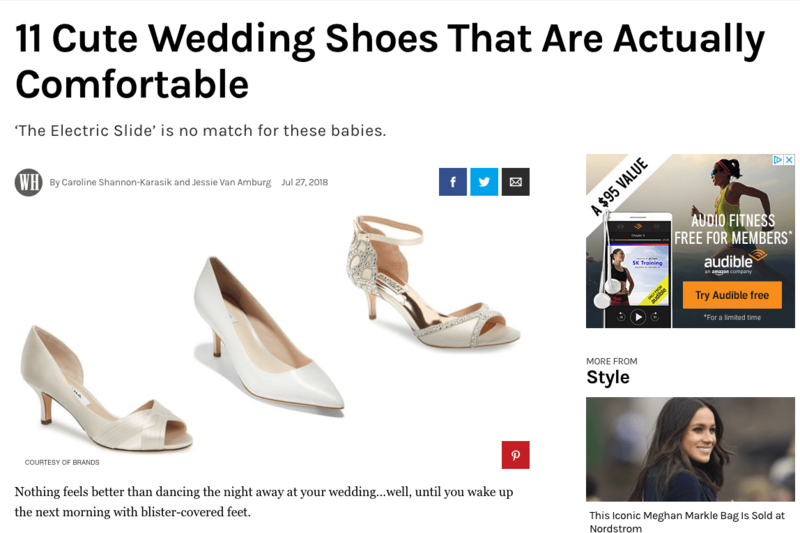 In an interview with Women’s Health, a women’s magazine focused on health, wellness, lifestyle and more, Dr. Cunha shares the best shoe options to wear to weddings. 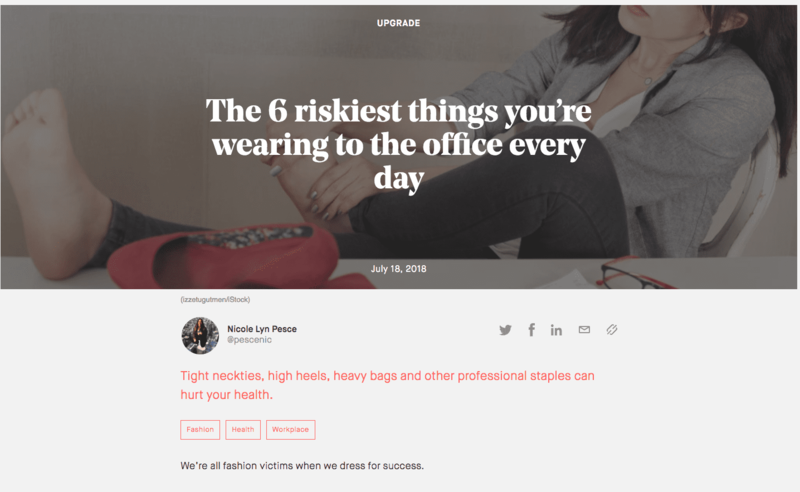 “While you might be tempted to wear flats instead of heels to spare yourself the agony, that's actually not the best idea. Completely flat shoes might mess with the arch in your foot, leading to heel pain, shin splints, and knee or back pain.” Read the article in its entirety here. 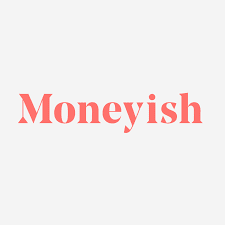 Moneyish, a publication from Dow Jones Media Group that focuses on money and personal finance, talked with Dr. Cunha about the dangers of wearing heels to the office. As high heels lengthen your legs, they also force you to carry your full weight on the balls of your feet. This puts pressure on your spine, back and knees; can cause tendonitis and joint pain in your ankles and knees; and can permanently shorten your Achilles tendon. To learn more about what our favorite downtown NYC podiatrist shared, see here. While many women have a love/hate relationship with heels, many aren’t certain how to select a heel height that won’t leave them searching for a foot doctor. 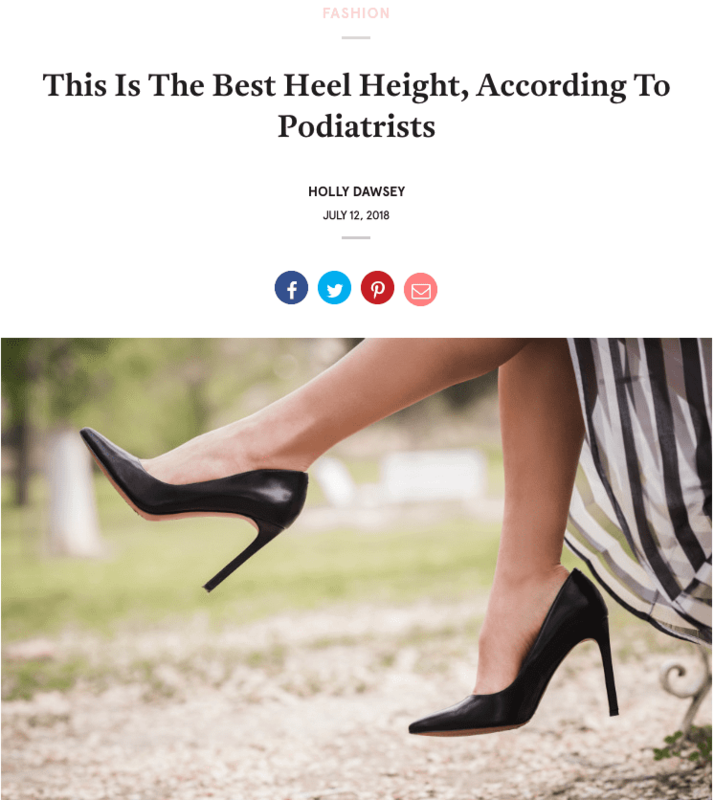 In an interview with Glam, a women’s online publication focused on beauty and fashion, Dr. Cunha shared tips on selecting the perfect heel height. “Never go over three inches in heel height when shopping for shoes, because it changes the biomechanics of how you walk,” cautioned Dr. Cunha. “Anything higher throws off your center gravity… putting unnecessary stress on your metatarsal bones, Achilles tenon, knees, and back.” Read the article in its entirety here.